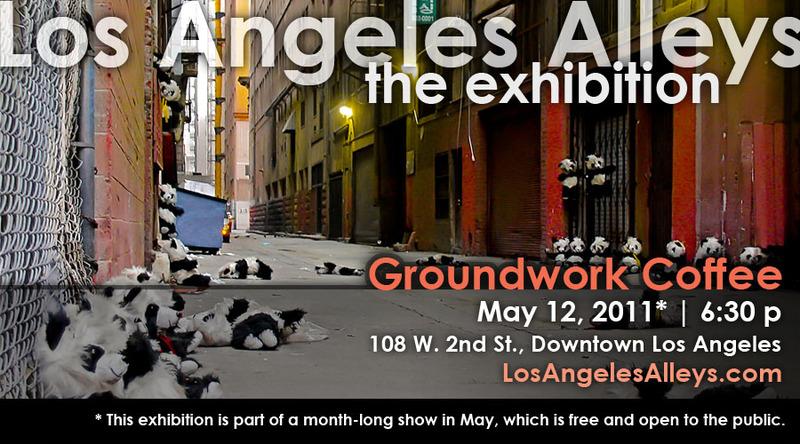 In conjunction with the recent release of Los Angeles Alleys: The Book, we are pleased to announce that selected works from this website are now on display at Groundwork Coffee, an art house/cafe at 108 W. 2nd St. (though the entrance is on Main Street) in Downtown L.A. The exhibit is slated to run through May and a special reception will be held May 12 to coincide with the Downtown Art Walk. Starting at 6:30, come out and see the works of art, say hi and meet some of the photographers whose great work will be on display. I look forward to seeing you there and, if you can’t attend the May exhibit, consider taking a piece of this site home with you.